With 18050 Kilometers area, the province of Ardabil is located on the north-east of Iran . It includes the districts of Ardabil, Khalkhall, Meshkeen Shahr, Geirmi, Bilasavar and Pars Abad. The historic and Islamic city of Ardabil is the capital of the province .The population of the province in 1996 was 1,168,000 from which 48.8% were registered as urban dwellers while 51.1% were villagers and the remaining 0.22% were registered as nomad tribes. four districts of this province are located on the border with the Republic of Azarbaijan, with a total border line of 282.5 kilometers length . The river Aras and the river Balha consist 159 kilometers of the border length mentioned above. Throughout two checkpoints, named Aslandooz and Bilasavar, this province ic connected the Republic of Azarbaijan, while Ardabil-Astara road via Hayran, connects Ardabil to Rasht, Qazvin and Tehran .Ardabil province enioys geographical and enviromental diversity. The district of Ardabil is consisted mainly of mountainous areas, including the famous mountain of Sabalan. the mountains Talesh and Bozghoosh which surround this district. Most of this district heights are above 3000 meters altitude, and the pake of Sabalan's hight is 4811 meters, while is located on the north-west of the district and causes the temperate weather of the area. Generally speaking, the district of Ardabil is known as one of the coldest areas of Iran with a very cold weather for 5-8 ths a year . Cold winters and temperate summers characterise the climate of the district. Bilasavar District locates in a large plate, and it has a warm summer and a temperate winter.Parsabad-Mughan districtis located in a large plate too, and its weather is temperate to warm. The plate of Mughan is recognized as one of the most important modern agriculture and animal husbandry of the country. Germi District is located between two low-hight mountain chains, and it is warm in summer and temperate inwinter.Khalkhall District is a mountainous area, so it has a very cold weather in winter and a temperate in summer. It is usually covered with heavy snow and ice for five ths a year , which causes the road Asalem-Khalkhall, in the mountainous area of Talish to be closed during this period.Mishkeen Shahr District is located on the western outskirts of the mountain Sabalan, and it is very cold in winter and mild in summer. The history of the province of Ardabil is a part of the history of Azarbaijan. Most Iranian historians believe that the city was built by Firooz, the Sasanid king (457-489 AC), and the city has a 1500 year history. But even earlier, Ardabil was a very imporant city from the military and political points of view during the Achaemenid period, which was a military base on the northern border of the persian Empire. according to Avesta, the Iranian profit, Zoroaster was born near the river " Daei Yeat " which is now named "Aras" , and he had written his book in Sabalan area, while he began to propagate his religion in the city of Ardabil. At the time of the moslem Arabs invasion of Iran, (year 22 AH) the city of Ardabil was the largest in Azarbaijan, which failed to the Muslims. Between 257-317 AH it was the headquarters of the local government of Bani Saj who changed their capital from Maragheh to Ardabil. And the city of Ardabil remained the capital of Azarbijan until the Moguls attack. Shah Esmael, the Safavid king began his effort for establishment of an Iranian united empire, then he settled in Tabriz as his capital in 906 AH. During the Safavid era, Ardabil became the most impotant city of Iran from the political and economic points of view. The Significant location of Ardabil on the main trade road between Iran and Europe had increased her impotance for trading silk and other goods between Guilan in Iran and different parts of the Europe. The city of Ardabil now is one of the most important cities of the province and Iran for its manr historical elements, specially the Safavid family's shrines, its location near many mineral-warm spring, and location on the main access road to the Republic of Azarbijan. These have turned the city a tourism centre, which is visited by thousands of tourists every year. Main historical ument of this city, one can name its old bridges with their special architecture, its historical places, significant mosques, shrines, churches and other holy buildings, all with valuable architecture.The significant architecture of commercial unites, specially the traditional bazaar are attractive too. Furthermore, the natural attraction of the region and the city, specially Sabalan marvellous outskirts, and the warm mineral springs of Sareain from an environment suitable for tourists in spring and summer . Moreover, Infact, environmental diversity of the province Helped the province to have. province's beautiful valleys, attractive forests, wonderful lakes and many beautiful marshlands, and landscapes. The lakes of Shoorabil and Neor are well facilitated for tourism and are very attractive areas in summer, which can be upgraded to be one of the most attractive tourist areas in international level. In addition to the tourism attraction of the province, its significant location on the strategic border area as a neighbour with the Republic of Azarbaijan, have well faciliated for the development process of the province and the whole region. the recent developmant of trade relations and communication between Iran and the Republic of Azarbaijan have been significant for the development of tourism and economy of the province of Ardabil,and more development is expected in the future. Shaikh Haidar tomb the city of Ardabil is located at adistance of 639 kilometres from Tehran, the national capital, west to the volcanic mount of Sabalan. The weather of the province varies between extreme cold on the mountains, to moderate on the plains during winter. The name of Ardabil came from an Avesta's (Theholy book of Zoroasterians Concient Iranians) word, "Artavil" which meantal a holy place. Some historians the establihments of Ardabil to "Bazan Firooz" . Archaeologists have recently found some historical elements in Nameen, a nearby town, which belong to the 12th-16th century BC. The Oratoie epigraph while belongs to the 7-9 centuries BC, and was found in Arasbaran, mentions that civilized people lived there in the region of Ardabil. 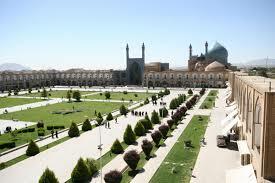 The most important places to visit in Ardabil ars as follwing. Neior lake which is located 48 kilometres south-east to the city of Ardabil. Shoorabil lake which is located south to the city of Ardabil. marshlands of Ganjgah, Nooshar, Shoorgul, Molla Ahmed and peer-el-Qeer. River sides of the river (Roodkhaneh) Baliquli Chay. Wild life and forests of Sabalan outskirts. Water fall Goorgoor on Sabalan. hot water springs in Sare-Ain, west to Ardabil. mineral springs in Bila Darreh. Shaykh Safi Tomp complex which is located inside the city Ardabil. Shaykh Jebrayeel tomp which is located in Kalkhouran village. Imamzadeh Salih Tomp which is located inside the city of ardabil. Masajid (mosques) Mirza ali kbar, Jumaa. and the church of Maryam Moqaddas(holy Mary) which are located inside the city of Ardabil. Old Bridges og Qara Sou, Eidi Gouz, Ibrahim Abad, Yaqobeyeh, Sayed Abad, Samian Kalkoran, neer, Almas,Shahr Chay and Guilandeh. Old Bathes of Och Doccan, peer Zargar, Mirza Habib, Haj Skaykh, Mulla Hadi, Safavieyeh and Haj Raheem. Old Hills of Qara Shirvan, Naranj Tappeh, Sarqeen, Aq Imam, Gour Tappehsi, Olo Tappehsi, Karkaq Tappeh and Saien Tappeh. hold Cemetreis of Sham Asbi and Karjan. Tower of Shater Gunbadi which is located 8 kilometres to Ardabil. Stone cave of Dakhmeh Sangi which is located near Veind village. The town of Mishkeen Shahr is located 839 kilometres to Tehran and near to the Sabalan high mountain. The weather of this town and the district of Mishkeen Shahr is moderate mountainous. It was called "kheyav" in the past. 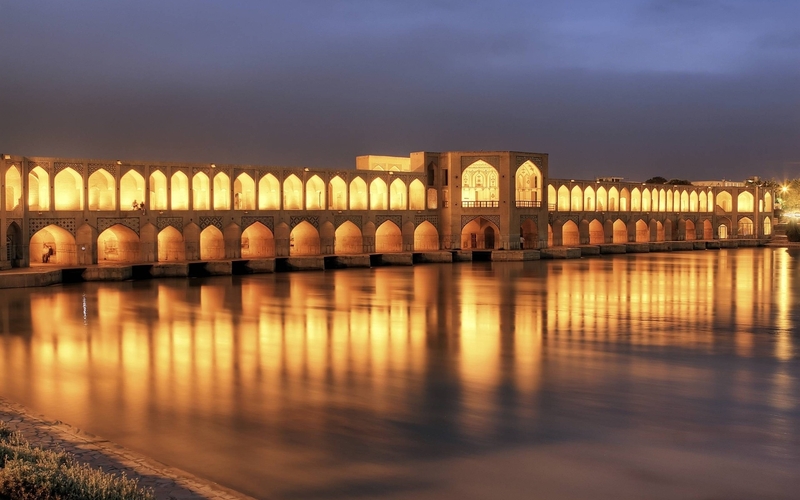 The most important places to visit in the district of Mishkeen Shahr are as following. Hot water springs of Moveel and Ilan Dooghan located in the sub urbs of the town. Water Qotoor Soo spring located 25 kilometers to Mishkeen shahr. Qaynarjeh spring located south-west of Mishkeen Shahr. Water Ilavand spring located 15 kilometers to Mishkeen Shahr. Old Castle of Mishkeen Shahr. Aghcheh castle located near Cheteen Darreh, near Mishkeen Shahre. Deev castle located in kevich. Hill Qanbar locvated in Anaar village. Stone epigraph of Shapour sasani in Mishkeen Shahr. tomb of Shaykh Haydar in Mishkeen Shahr. Masjid (mosque) Jannat Sara which is located in cide the town of Meshkeen Shahr. Shrine Hassan Dash located in the twon Mishkeen Shahr. Abgarm Khushnameh hot water spring and hot Mineral Water in Garmuhaneh village. Imamzadeh Meerzaman and Sayyed Ibraheem located in khams village. Shrine or Danyal which is located in khanqaah village. Mosque of Jami and Masji Noor located in khams village. Ghaar Tarikhi Yakhkan (historical cave) which is located in Gandum Abad village. Haft Khaneh cave located in Garmkhaneh village. Shahrak lake in pars Abad. Great complex and integrated agriculture, industry and animal husbandary in Mughan. Oltan castle which is located north to pars Abad . Qiz Qalasi (the Girl Castle) which is located in Guirmi. The Historical Bridge in khuda Afareen. Kharman Hill which is located in Shaykhlar village in Germi. Qarlooja Tawer which is located on the road between khormaloo and Aslandooz. 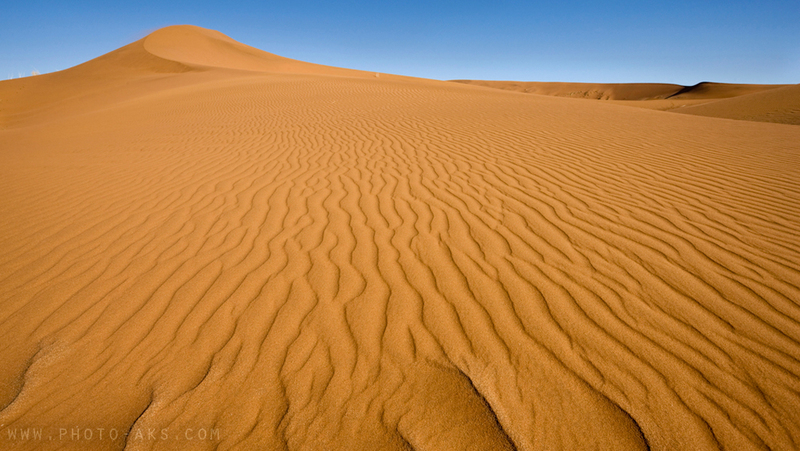 Sheerwan Darrehsi, Moweel, Hooshang Meydani, qara Gouel, Khorosloo Mughan, Aqababa, Hajiloo, Tabnaq, Hassan Darrehsi, arbab kandi, and the protected zone neour which host wild animals such as wild goat, pig, brown bear, grey bear,fox, wolf, ram, Armenian ewe and rabit live in this province . birds such as partridge and egle can be found too. All districts and towns of the province are well connected with each others as well as other cities and towns of Iran by a network of roads and traveling on them is very comfortable. Only in the district of khalkhall, travelling is difficult because of the highlands and the snow fall for a long cold season causes road blocage. All towns of the province and specially the city of Ardabil is well facilitated by networks of transportation and health facilities, so traveling and staying in most of the towns on the province is enjoyable. It should be mentioned that most facilities are found in the provincial capital Ardabil, but all other towns enjoy acceptable facilities, such as restaurants and gusthouses. Ardabil Airport and the air port of Dashte Mughan provide trips to tehran and some other Iranian destinations.